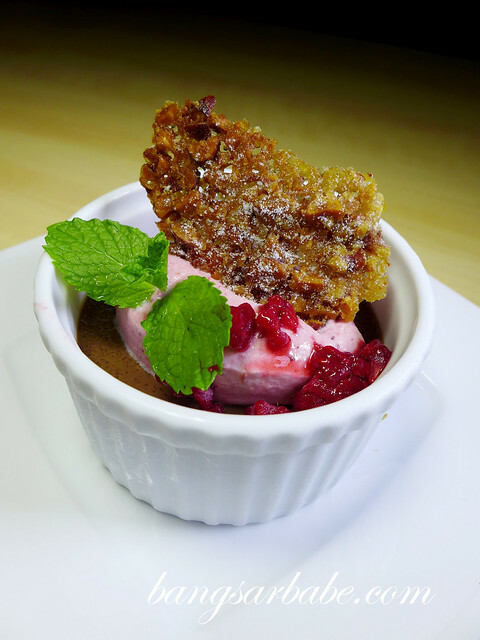 NOSH turned six months old and to celebrate the occasion, dynamic duo – Ann and Judith – came up with ten new desserts specifically for the month of May and June. I’ve been a fan of the food ever since my first visit but I always order the same dishes. Like seriously, always. This food review had me sampling three new dishes on top of NOSH’s ten delectable desserts, and I think I’ve found a new favourite. 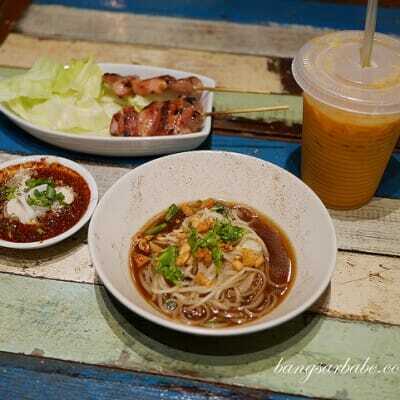 Problem is, these three dishes are savoury specials for the month of May, so I only have until 31st May to eat my fill. 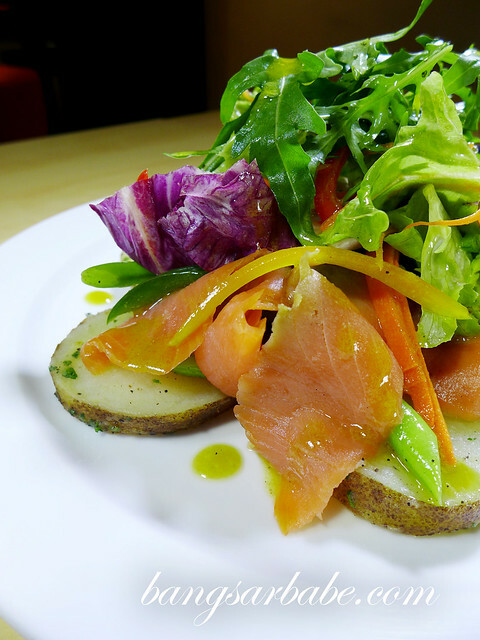 The smoked salmon salad (RM29) was a good starter of crisp greens, beautifully cooked potatoes and salmon with light dressing. Except that the portion is large enough to be a main course for some people. My new favourite dish at NOSH is the pumpkin and smoked chicken risotto (RM38) – richly flavoured and such a delight to tuck into. 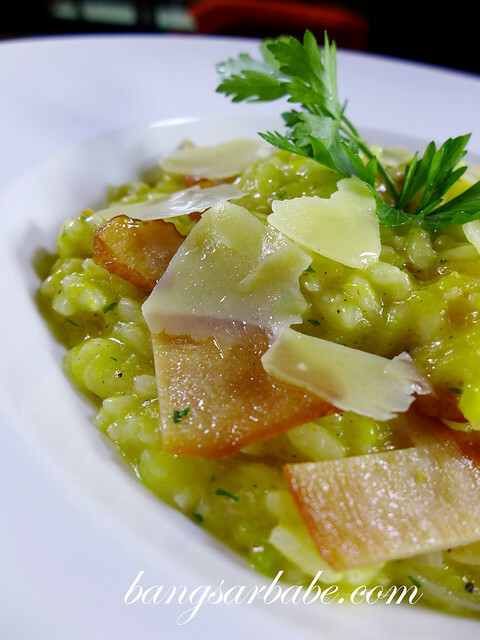 The risotto was cooked al dente, while the smoked chicken was a good complement to the overall flavour of this dish. This wasn’t too cloying either; a big plus point. The lamb gnocchi was a favourite among all who sampled it that evening. Sweet potato was used to prepare the gnocchi and I liked how it subtly gave flavour to the dish. 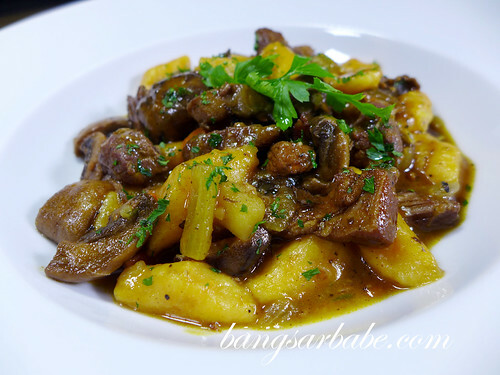 The lamb ragu was cooked with red wine for a robust flavour and it went very well with the gnocchi. 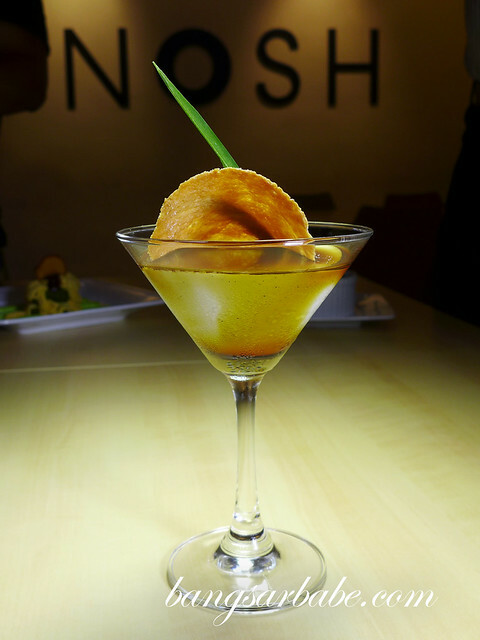 It was a beauty parade of the new sweet offerings at NOSH – all pretty in their own way. 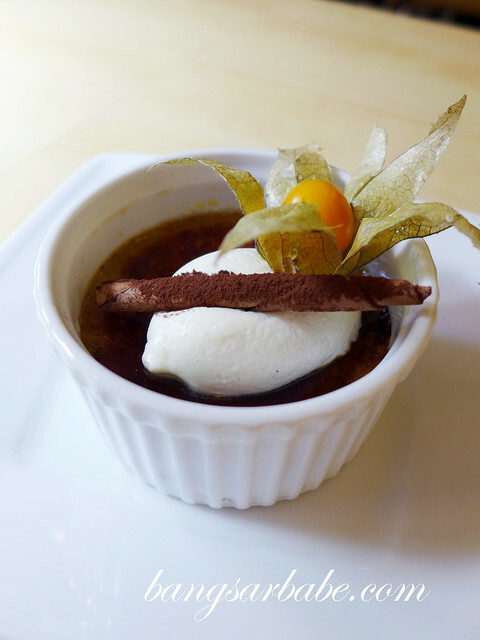 NOSH’s Earl Grey crème brulee was well balanced in flavour and such a pleasure to eat. 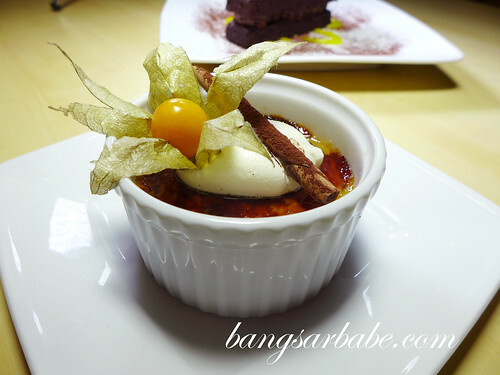 The Earl Grey flavour was aromatic and distinctive, yet subtle enough as to not overpower the overall flavour of the crème brulee. 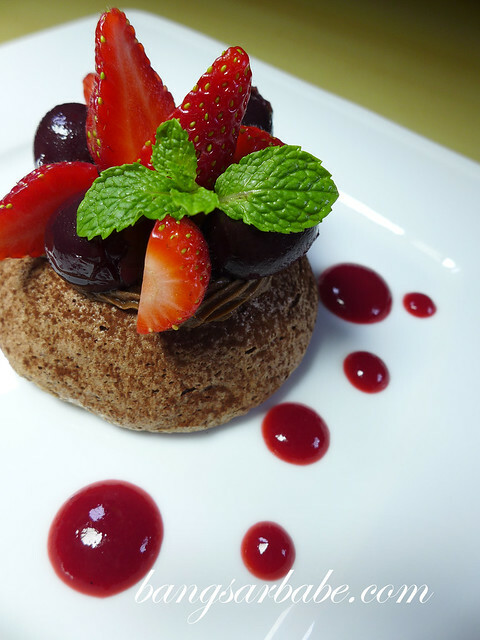 I loved the Crème Au Chocolat – baked chocolate cream with mixed berries mousse and a nutty tuile. The richness of the chocolate cream was gently played down by the mousse and this bittersweet-tangy combo worked for me. 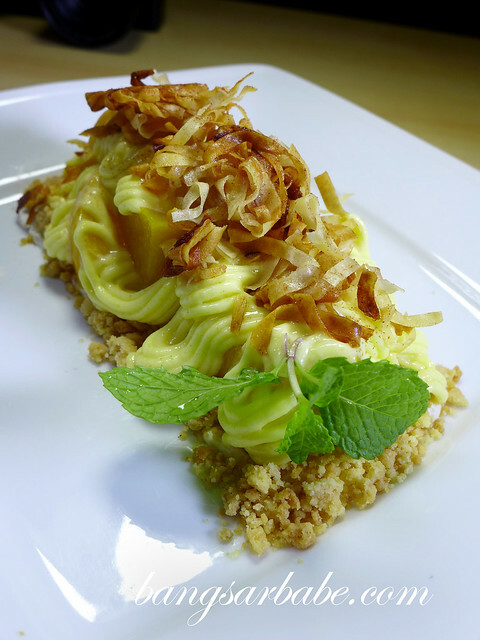 Coconut Panna Cotta is NOSH’s version of a tropical sensation. This fusion of Italian cooked cream, coconut cream and pandan infused palm sugar was aromatic with the perfect balance of sweet. The Black Forest Pavlova (contains alcohol) boasted a crisp chocolate meringue with chocolate mousse, fresh strawberries and dark cherries soaked in kirsch. Very indulgent, this one. I found the Sweet Potato Azuki Gateaux very unique and ideal for those who like their dessert less sweet. This delicate green tea chiffon sponge cake is filled with sweet potato mousse and topped with azuki red beans. The Chocolat Orange (contains alcohol) is a decadent treat and a must-try if you’re a chocolate lover. 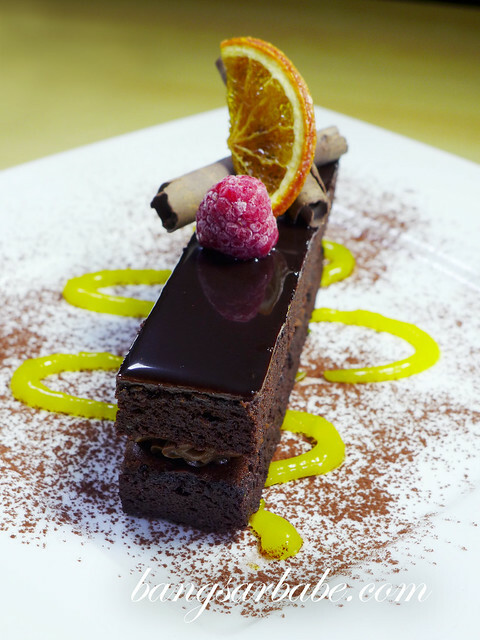 This chocolate cake is filled with Grand Marnier flavoured chocolate mousse and glazed with dark chocolate mousse. Bittersweet, rich and simply delicious! 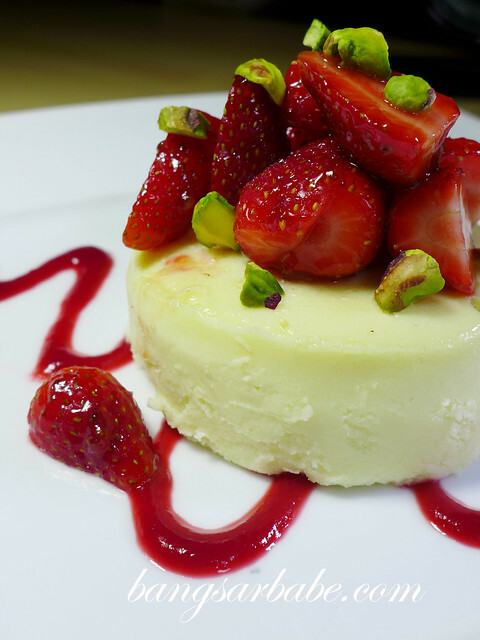 The Strawberry Cheesecake is made using French cream cheese for a richer flavour and texture. This was one of the best cheesecakes I’ve tried. Justly dense with a tart flavour from the fresh strawberries. The Apple Cinnamon Cake is great if you want a lighter sweet ending. 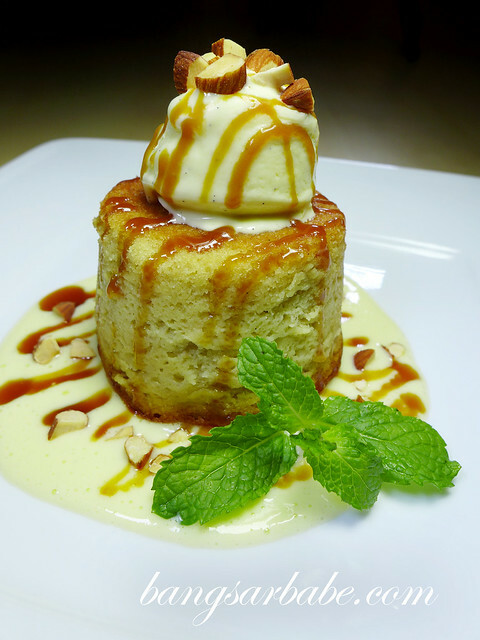 This simple apple butter cake had hints of cinnamon and topped with vanilla bean ice cream and butterscotch sauce. Another light dessert is the Lemon Peach Tart, a composition of buttery crumble, peaches and lemon curd with ginger filo pastry. Not my kind of dessert, but only because I’m a chocolate girl. 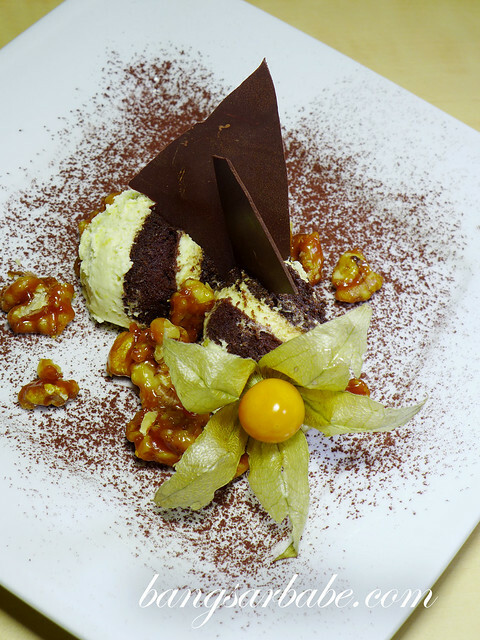 The Walnut Tiramisu (contains alcohol) was delicious – rich chocolate sponge soaked in espresso and fine port wine, with mascarpone, caramelized walnuts and dark cocoa powder. This, I wouldn’t share either. I liked the food and loved the desserts. Am definitely coming back for that risotto and hitting the dessert platters with some friends soon. 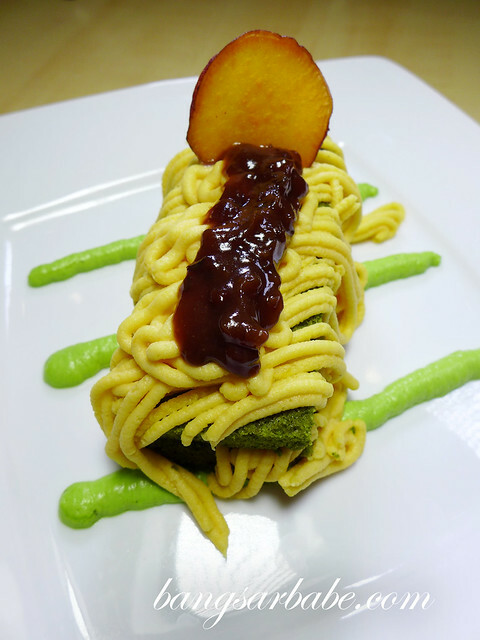 “Like” NOSH on Facebook here. To read about my previous dining experience and brunch at NOSH, click here and here. 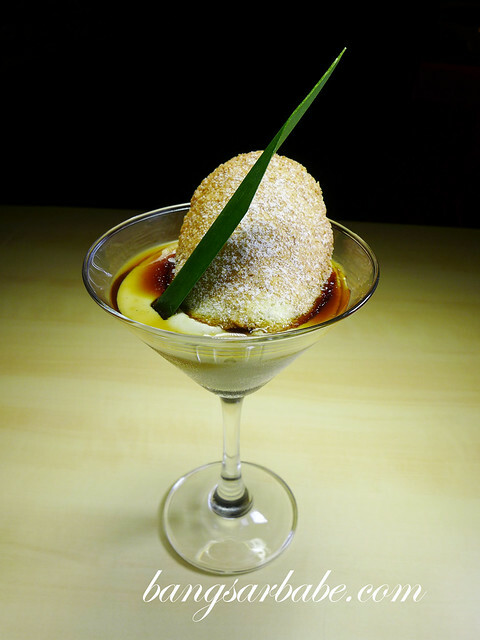 Verdict: A dessert lover’s paradise! I never said I don’t do invited reviews. I select my reviews and limit them to 2 (or max 3) a month. 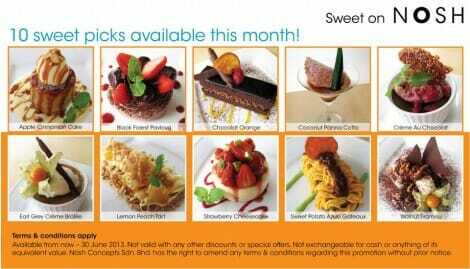 I’ll skip my mains & order 5 desserts , haha! 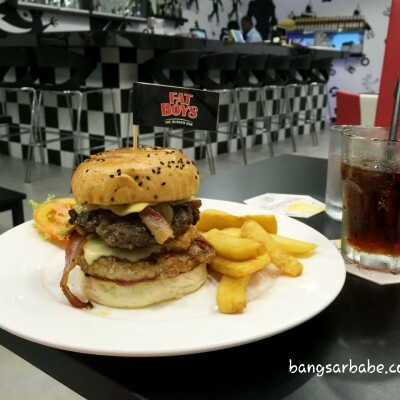 We here at bangsarbabe.com are always open to invited food reviews. 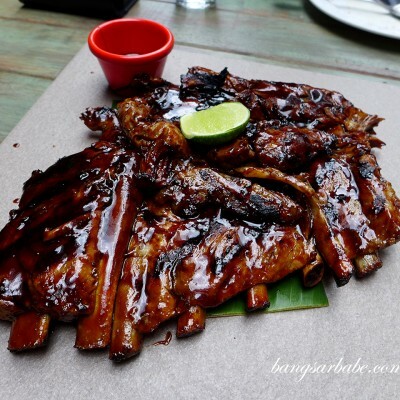 All the PR Company or food outlet needs to do is drop us an email at [email protected] and we will try to accommodate their request for us to review their outlet (please read this first – http://www.bangsarbabe.com/public-relation-101). However please be reminded that we will always give our honest review to our readers to ensure they have the best dining experience. We apologize in advance if we are unable to schedule your outlet food review as we have a review quota every month but we will try our best to schedule the review in. Finally please take note that we have no control of the food quality control after our review. Hey Sue Lynn, I tried the choc orange, but it wasn’t as good as i thought it would be, it tasted somehow ordinary although i could taste the hint of alcohol. And the cake was quite dry for me. Do you think maybe its because i dont know how to enjoy a good chocolate cake ? lol. I loved the other four, the cheesecake/ tiramisu/ pavola/ lemon peach tart was really something different from the average desserts like the likes of Delicious. Btw have you tried the chocolate fondant ? I saw it in the menu but it wasn’t one of the dessert promotions. If you had, is it worth trying ? Cause it’s more expensive than the average ones. 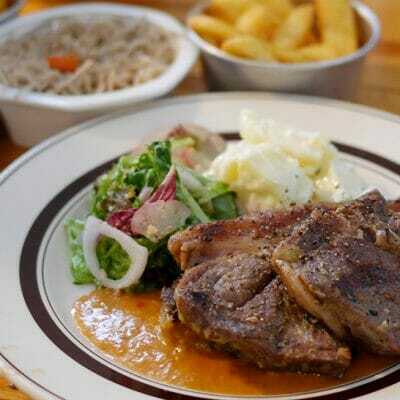 And also i am interested to know what are your thoughts about Dip N Dip, I’m sure you’ve heard of it ? Sorry if I sounded rude and impolite in any way. And thanks for reading this long comment..
Haven’t tried dip n dip yet though.